Planning your next eerie vacation? 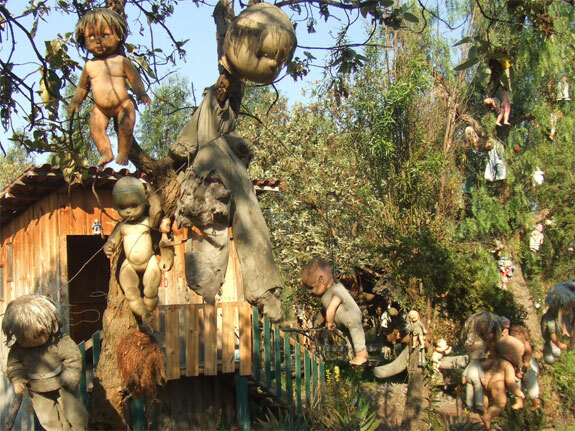 Maybe consider Mexico’s unsettling “Island of Dolls” in Xochimilco! I am a huge sucker for anything with creepy old dolls, maybe we can build the next Gloomth headquarters there. 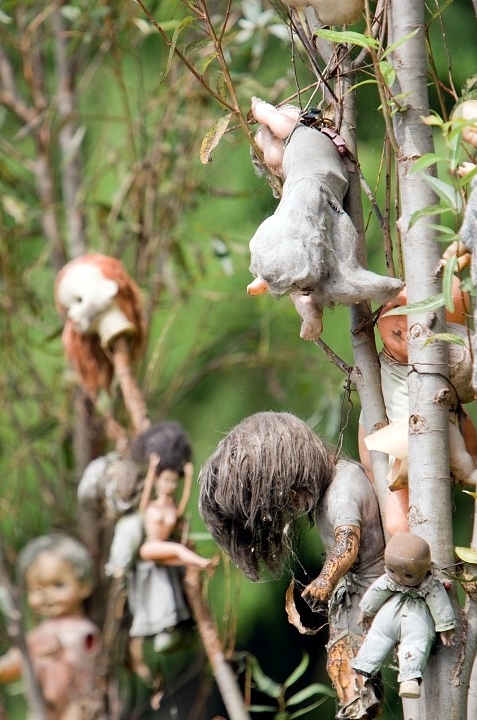 The story is that the one man who inhabited this “island” (it’s a manufactured agricultural plot in a canal I guess) collected dolls from the trash and hung them from the trees to ward off evil and to appease the spirit of a dead girl he discovered in the water nearby. 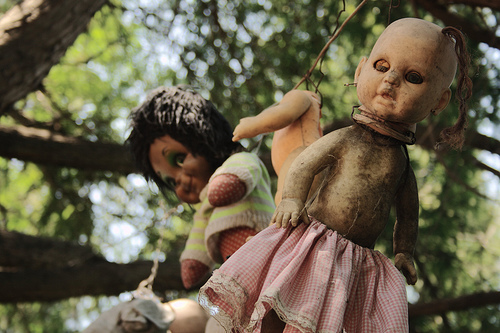 Now that he’s deceased do you suppose he wishes someone would continue to hang dolls for his spirit? I think we need a Team Gloomth road trip to this place. Wouldn’t it make the BEST backdrop for a photoshoot ever? !